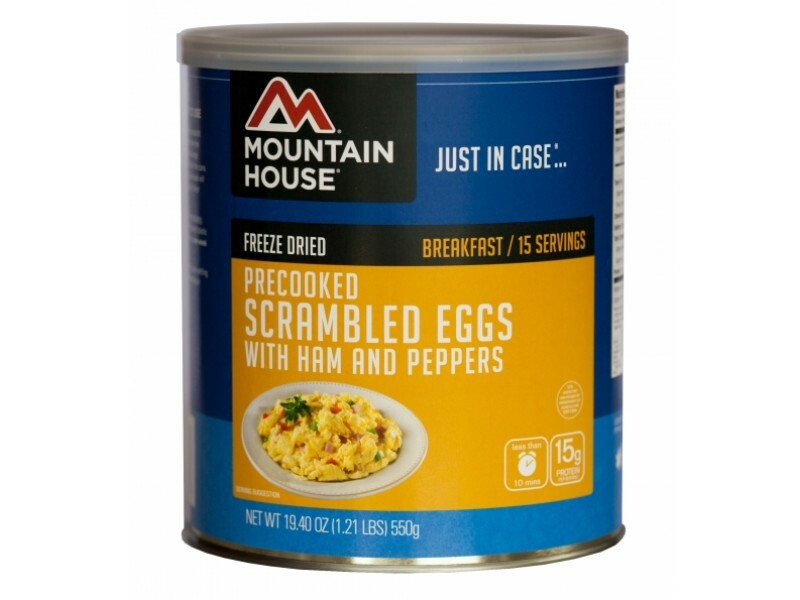 Mountain House #10 can of scrambled eggs with ham is something that should be in just about everyone’s emergency food stockpile. Eggs are one of the best breakfast foods, because they provide high quality, natural protein that will keep you strong all day long. Adding in the ham helps them taste even better, while also supplying more protein. With the green and red peppers, you’re also getting a vegetable, making this one of the most well rounded foods you can eat. 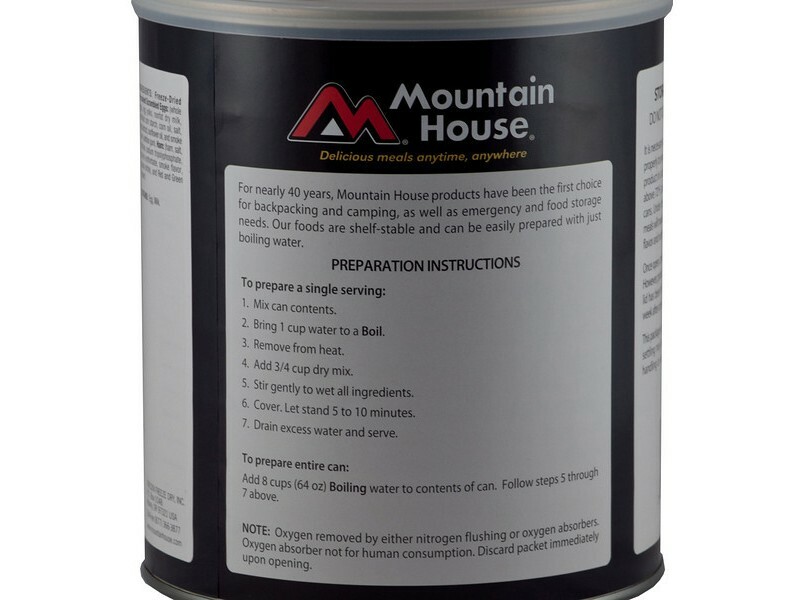 Of course, like all foods from Mountain House, they will also taste great! 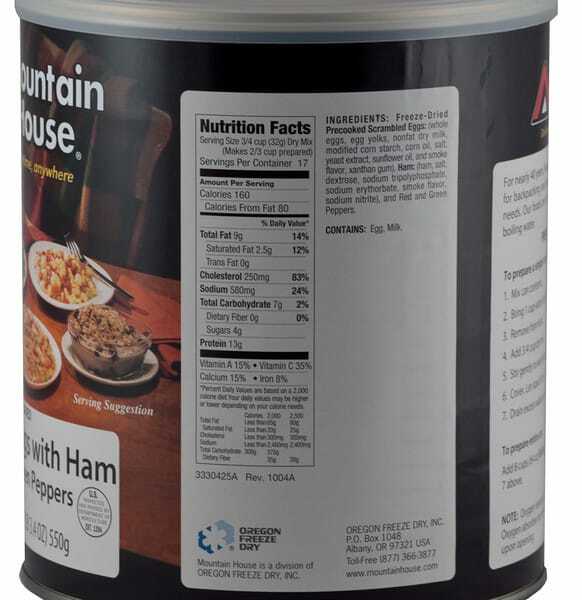 This Mountain House #10 of scrambled eggs with ham is pre-cooked and easy to prepare with just hot water and a few minutes. 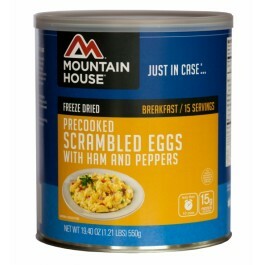 The can contains 17 servings, so you and your family will be able to enjoy the great tasting eggs several days. 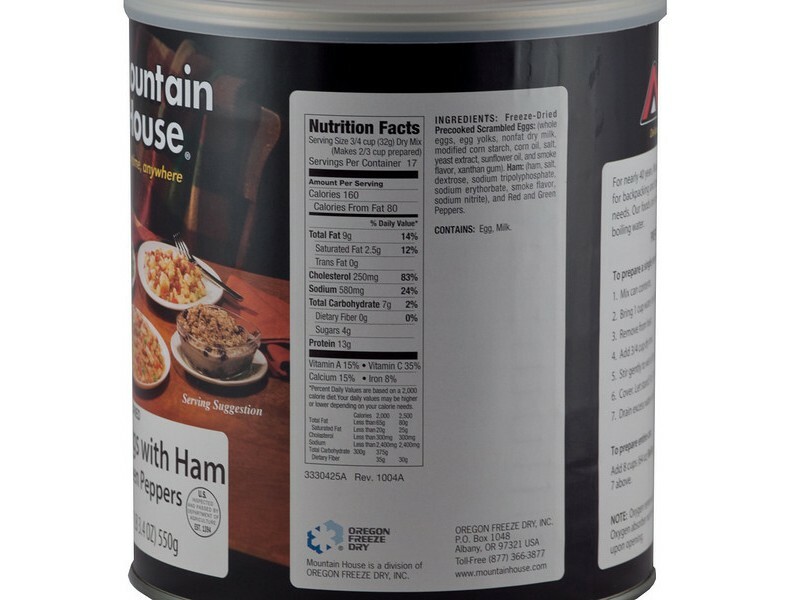 Mountain House has combined just the right amounts of eggs, ham and peppers to make for a meal that virtually everyone will enjoy. Serve them up for breakfast, or any time, for a healthy, meal that provides 13 full grams of protein per serving. Prior to being opened, the can will last for 25+ years on the shelf, which makes it perfect for disaster food storage. Once the can has been opened, you can prepare as much or as little as you’d like, and the remaining eggs will still last for weeks without a problem. 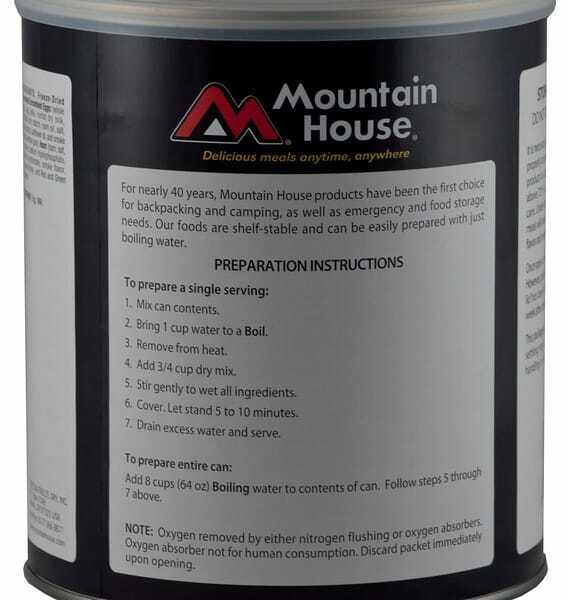 Whether you’re stuck in your house during an emergency, or you took these great tasting eggs out with you camping or on a hike, you’ll be glad you have access to such high quality food, even in potentially unpleasant situations. The eggs are professionally prepared, and then freeze dried, which allows them to have such a long shelf life. They are then placed into the #10 can, and sealed tightly to ensure no air can get to them. You simply won’t find a longer lasting, better tasting, emergency egg meal anywhere today, so give them a try. You’ll be glad you did. One can contains 17 2/3 cup servings.